The Staircase is one of the most important aspects of the house. No matter how strong and beautiful it appears it needs renovation sooner or later. However, you may get confused at the beginning regarding the material to choose and the point to start it from. 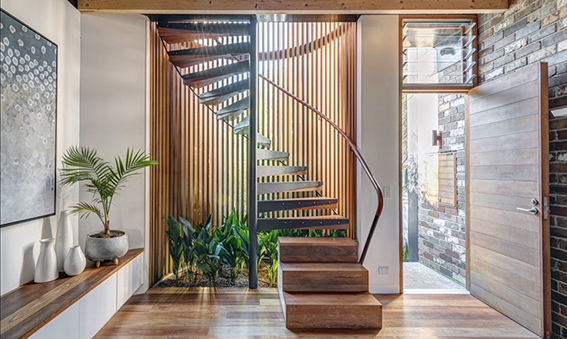 Most of the people often have confusion regarding staircase renovation in Sydney where there haven’t been any proper means of information lately. As a result, consulting an expert is highly suggested to those people who want to invest in house staircases. These experts can essentially help you get through all the points. The experts can definitely help you with renovation and installation process. Storage appears to be one of the major concerns for many people. This turns out to be a problem in the houses which lack planning for compact structures and maximum utility of the available space. If you have a planned design and proper storage idea, the functional design of your house gets improved significantly. You can consider contacting the experts of staircase renovation in Sydney area or even you can take help of the internet. These people can offer you a number of options regarding drawers and shelves included and mounted into the structure of the staircases. You can even turn your wasted space into a more functional one. Putting up shelves actually helps in using the space for some essential purpose. The staircase is one of the essential points which can draw a lot of attention. As a result, it requires timely renovation to make sure its proper condition is maintained. The staircase renovation adds enhanced value to the overall look of the house. In order to make your house look impressive, you should consider renovating the staircases. When you choose to proceed with the renovation, make sure to purchase high-quality material for better durability. Make sure to install it in a proper way since it is a long-term investment. One you decide to renovate the staircases another factor of vital importance comes into the picture that is selecting the color. You should prefer choosing a color for staircases which matches the design of the floor. The color is a significant factor during renovation and the installation. The overall look of the room is affected by the use of specific colors. You should be careful with what you choose. As a result, you can consult with the expert about what you aim at making. They can help you in bringing your ideas to life. You can also use the wall string hangings to decorate the walls. Since renovating the staircases happens in the interior of the house make sure that it does not affect the already well-lit light and ventilation scheme of the house. If the house does not have a proper lighting arrangement, staircase renovation is the golden chance to do it from the scratch. You can use your staircase to turn out extra light in the atmosphere. You can choose to put LED lights, under the treads to increase the impact. This will actually be beneficial for lighting the dark hallways of your house. You can consult your expert about the materials that you should be using. You can, however, choose to do a few of your things on your own by the DIY projects.